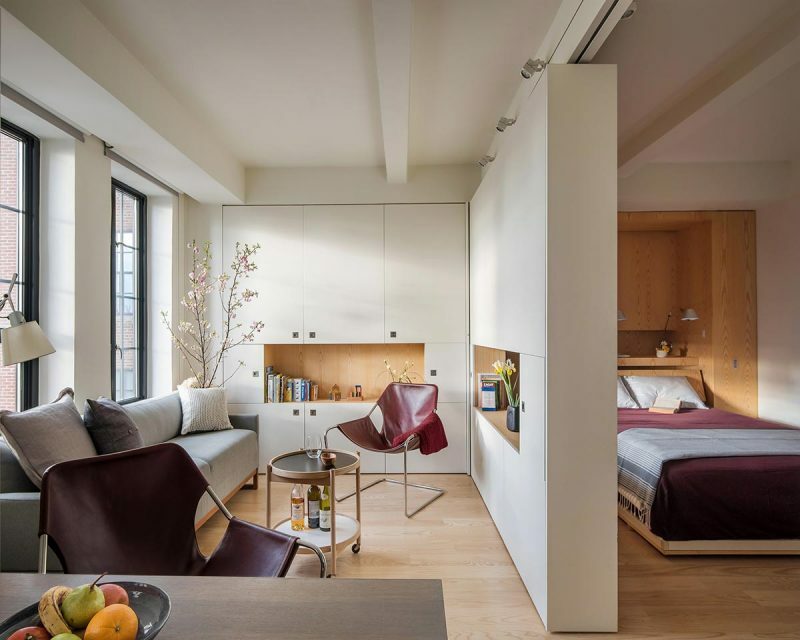 Small Studio Apartment With A Moving Wall - Brilliant Design! 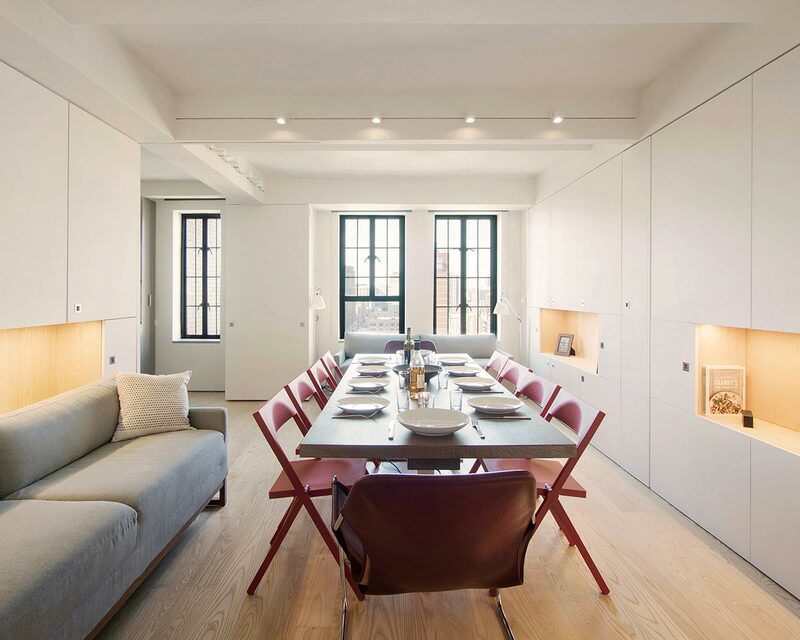 The small Pivot apartment was recently celebrated as the most innovative interior space by the Institute Honor Awards for Interior Architecture. And rightly so! Designed by Architecture Workshop PC, this tiny 400 sq. ft. studio is a multi-faceted wonder and home to the versatility of a bedroom, a dining room large enough to host 10 friends, an open studio space …and more. 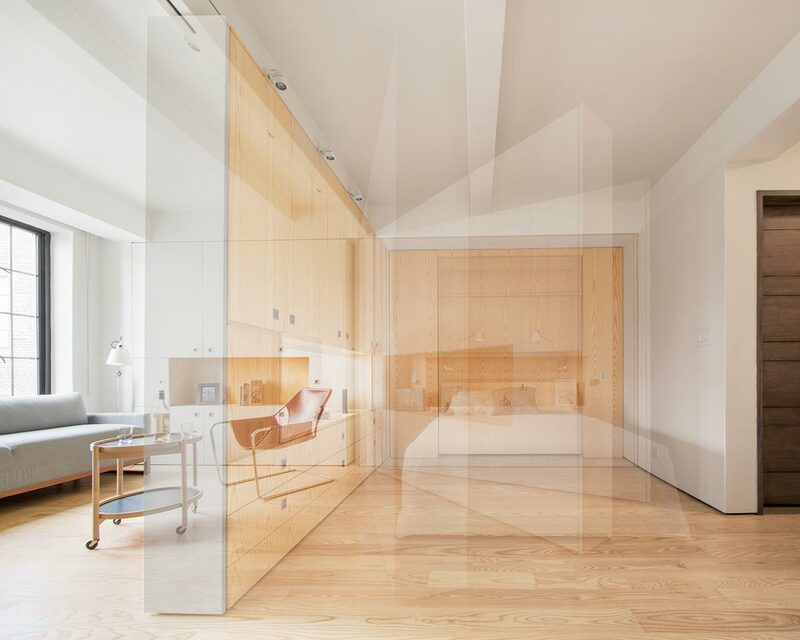 The flexible nature of this apartment is courtesy of the moving wall, which can stand flat – as a wall normally does, or pivot to become a dividing wall and character piece. This pivoting wall contains drawers and cabinets for storage, as well as openings for display as the owner sees fit. Whether utilized as a divider between the office space and the living room, or provides complete privacy for the bedroom – all this and more can be accomplished with “Pivot”. The flat side of the wall is a calming white, and the inside of it is a working wonder that offers a plywood finish, delivering natural warmth and depth to the space. 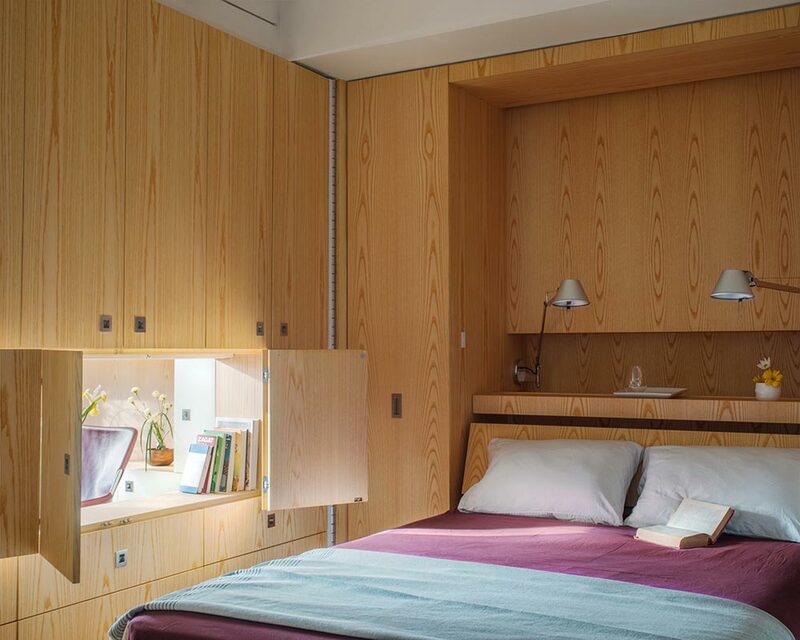 In addition, other features such as the expertly concealed Murphy bed within the rear wall, can be pulled down for naptime, or left upright for company time. All these fantastic features are contained within a vintage building in which it dwells, offering ample natural daylight and added character to finish off this brilliantly compact studio space!